It was Asus that released the world’s first 4GB RAM smartphone, and now it’s Lenovo who has done it. Following the footsteps of Asus Zenfone 2 and Xiaomi Mi 4i, which were recently launched on 23rd April, Lenovo has unveiled a power-packed smartphone ‘K80’ with 4GB RAM and humongous 4000 mAh battery. The price is tagged around $290 (approx INR 17,500/-) which will be first released in China on 30th April. While, there is no confirmation of the release date of Lenovo K80 in India, it should soon make it’s debut here. Lenovo, the Chinese firm, which has launched A6000 and A7000 with had 1GB and 2GB RAM respectively no long time back, is now aiming even big with this launch. We have seen that over last 12 to 18 months Lenovo has been introducing smartphones that have much cheaper price tag, as compared to what other brands offer at the same price. And that’s the reason why Lenovo smartphones are preferred by most of the Indians, including yours truly. Now let’s dig out the specifications of Lenovo’s latest smartphone. There is no official confirmation about the front facing camera, but according to the resources, it might be decent5MP. When it comes to smartphone lovers, the first thing that strikes their mind is the price. Lenovo K80 price is expected to be somewhere around 18,000/- and Asus Zenfone 2 4GB RAM version, ZE551 ML comes in two variants, 32GB at 19,999/- and 64GB at 22,999. By this, it is quite clear that if you are looking forward to do multitasking on your phone you need a 4GB RAM to do it efficiently and you can’t get a better deal than Lenovo K80. But when it comes to the processor, Asus Zenfone 2 has 2.3 GHz processor and Lenovo has 1.8 GHz. So this might be an advantage for the Zenfone users, but with 4GB RAM, I don’t think that it will make much of a difference. Lenovo K80 can give you much longer battery life as it has 4000 mAh battery whereas; Asus Zenfone 2 has 3000 mAh. But the fact that Zenfone’s battery can be charged up to 60% within 40 minutes, it might be preferred by many. If you go on comparing, there are many things that make both the smartphones special in different categories. But the fact that, every customer has an eye on the price at the ends, Lenovo K80 might win the race. Pretty soon, Lenovo K80 is expected to release in India at a price of 18,000 (most probably). it will take the crown of becoming the cheapest 4GB RAM phone in India. The biggest industry players such as Samsung and iPhone are sure to face stiff competition with such releases by the Chinese companies, especially in India. We will update this post as we learn more on this! Three New Lenovo Smartphones You Need To Know About! Lenovo Z5 Camera Samples Out; Sports A 4TB Storage & Bezel-less Display! Can i use the 4000 mah battery to my Lenova 6000plus Phone? my posting date is 28/06/2015 and you had replied on 28th april, from your post 2 months has past away but still lenovo m80 has not released yet. 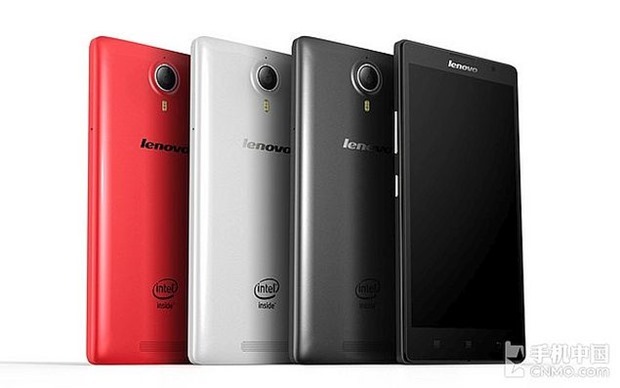 please sir if you have any confirm news about release date of LENOVO M80. PLEASE………………. Sorry for updating late but this post was just or Lenovo K80 Smartphone but not for Lenovo M80 which is a kind of processor. If you want to buy Lenovo K80, it might be releasing by the end of this month (July) in Indian market. Asus is Supperb but still have to improve their Battery from 3000 mAh to 5000 mAh within 5 inchs Screen ! Compared to Asus and Lenovo ..of course both are good but I hope Asus has a better Motherboard Quality ! Where as Lenovo is Average… becoz I have seen some of the Smart phones in Lenovo are restarting …performance has been reduced after some months and Compared too ! Now in this Segment I hope Lenovo Improved their Quality … and Gifting Indians as Launching such a great Configuration ! So these are the Featured Mobile Phone ..we r expecting to be a greater sales for u and as we too like to prefer too ! There is no such official confirmation from Lenovo about the release date in India. But we can expect it to launch in one or two months. when it will be available in India???? ?